At Guildford Smiles Dentistry, we make a point of staying abreast of the latest dental technology to provide our patients with the most comfortable, accurate dental treatment possible. Dr. Asmaa Seddik and Dr. Marwa Salman keep abreast of proven technology that can make their patients' dental treatment more accurate, comfortable, and effective. Our dental technology is an investment in the health of our patients, and one that we take seriously. We look forward to providing you with an outstanding dental experience and high-quality care. 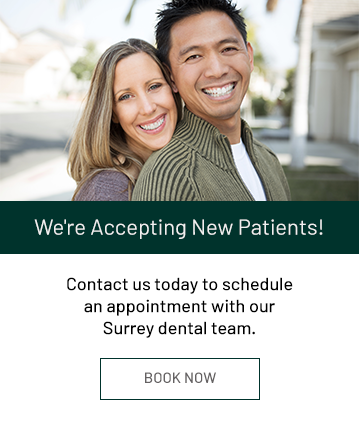 At Guildford Smiles Dentistry, we use dental technology to improve your overall experience and to give you the highest quality care possible. Below are some of the technological enhancements we feature in our office. Our microscopes allows our dentists to see the smallest details of your teeth, and provide more accurate restorations and surgical outcomes. In addition, we can maintain a greater amount of your healthy tooth structure and achieve greater success in endodontics. High-resolution digital x-rays are ultra low in radiation and provide us with the tools necessary to make early diagnoses of issues not visible to the naked eye. Digital dental x-rays use a very low level of radiation, making them extremely safe and allowing us to better monitor your oral health. Adults and children alike love the opportunity to pass the time they spend in our office during their appointments watching a favourite television show. Our TVs help take patients' minds off of their procedures, and make a visit to our office feel like a break from a busy day.